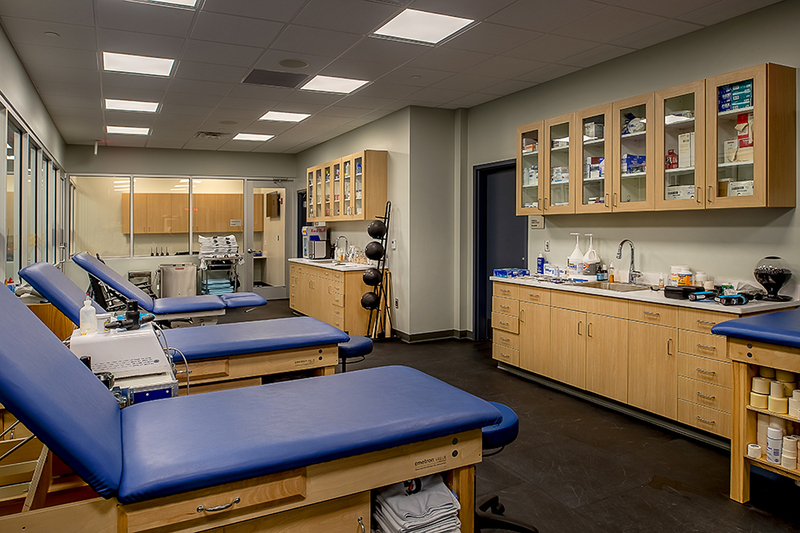 In 2017, Generator Studio continued its partnership with Enterprise Center (formerly known as Scottrade Center) and undertook phase one of renovations to the arena. The strategic list of projects was selected from the Master Plan that Generator completed in tandem with the Blues in 2016. With a $34 million scope, collaborative efforts focused on optimizing daily venue operations and team spaces with additional emphasis on enhancing the fan experience through technology; this feat was accomplished in just 10 weeks. 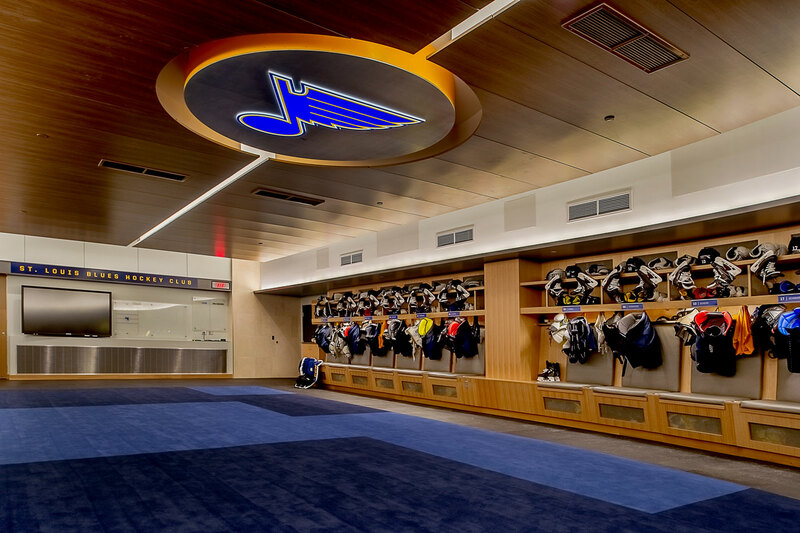 With the spotlight on improving the home team’s facilities and operations of the venue, high points of the renovation included: a new Generator Studio-designed center-hung scoreboard, renovated restrooms on public concourses, new concessions, an expanded and renovated Blues locker room, various event level renovations- with training, medical, storage, lounge areas for the team. 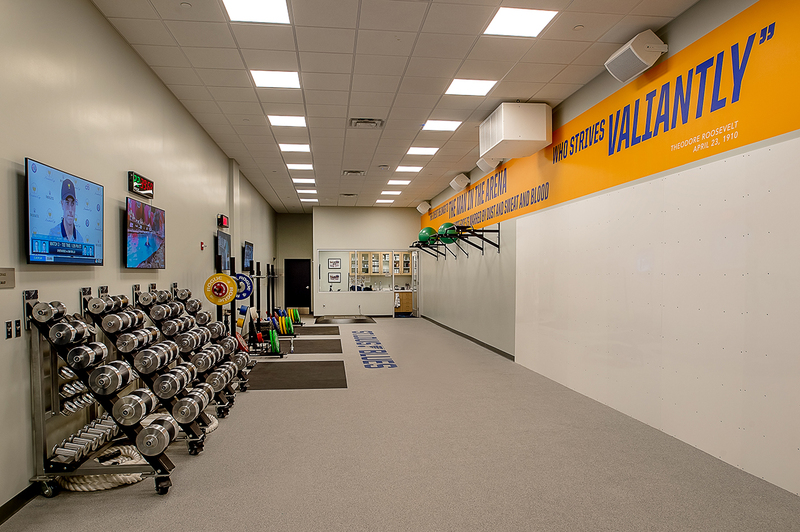 Additionally, technology upgrades for sound and lighting, a new press-media space, an expanded family lounge, and more. As part of the 2017 scope, Generator was also tasked with introducing a new premium product to the arena that wanted more fan engagement. Known as the Bull and Bear Theater Boxes, the design shifted from conventional theater box models to provide fans with a unique seating experience. 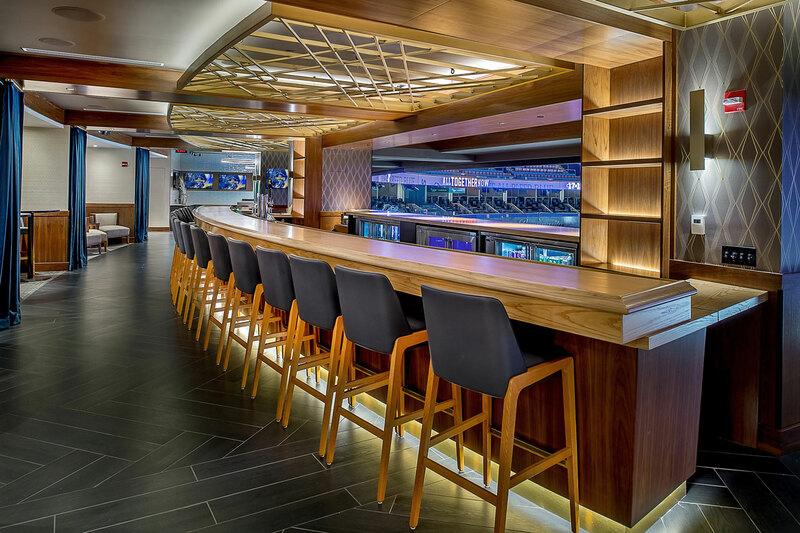 Highlights of the Theater Boxes include: a large new center bar featuring rotating craft cocktails, menus inspired by regional ingredients and food trends, pre- and post-event access, and club chairs with side tables overlooking the “shoot twice” end of the floor. 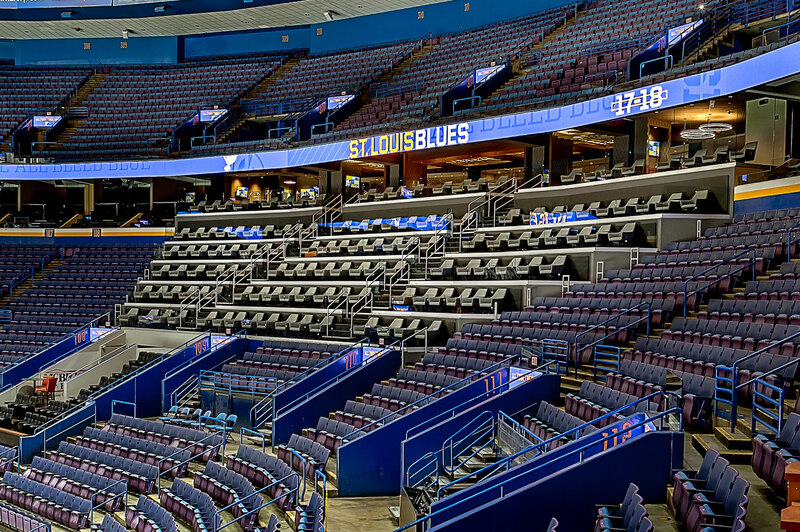 This round of renovations raised the bar at Enterprise Center and helped reimagine the building for the fans, the Blues, and the community at large.